I am very pleased that the last piece of major legislation that updates Jersey’s suite of intellectual property laws has now been lodged. This particular piece of legislation deals with Intellectual Property Rights in Plant Varieties. This means that anyone who develops a distinct new variety of plant will be able to obtain an exclusive right to propagate that variety for a limited period of time. Others will only be able to propagate a protected variety with the consent of the proprietor, which makes investment in developing plants worthwhile. More importantly, this paves the way for Jersey being able to benefit from the UK’s Membership of the World Trade Organization (WTO). This is the only global international organisation dealing with the rules of trade between nations, and at its heart are the WTO agreements, which are negotiated, signed and ratified by the bulk of the world’s trading nations. The WTO’s stated goal is to help producers of goods and services, exporters, and importers conduct their business. 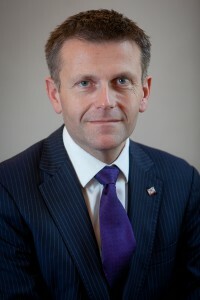 The extension of WTO membership to Jersey has been a long-term aim of the government, which the Constitutional Review Group said, in its 2008 report, would be valuable for Jersey.